Boy and girl live down the street from each other and then one day boy sees girl at bus stop on the first day of 7th grade. The rest is history for these grade school sweethearts. Max says he knew he wanted to marry Kati as soon as he set eyes on her. Aweee! Growing up together and then dating for 15 years allowed for many special memories together. Max’s family had a house in Clear Lake, Iowa and grew up enjoying summer days at their lake house. Soon this became a special tradition for the couple and it seemed right that Max would propose to Kati in a place that had a lot of meaning to them. It was the first boat outing of the season and will go down as one of their favorite nights on the lake as she said, "Yes!" 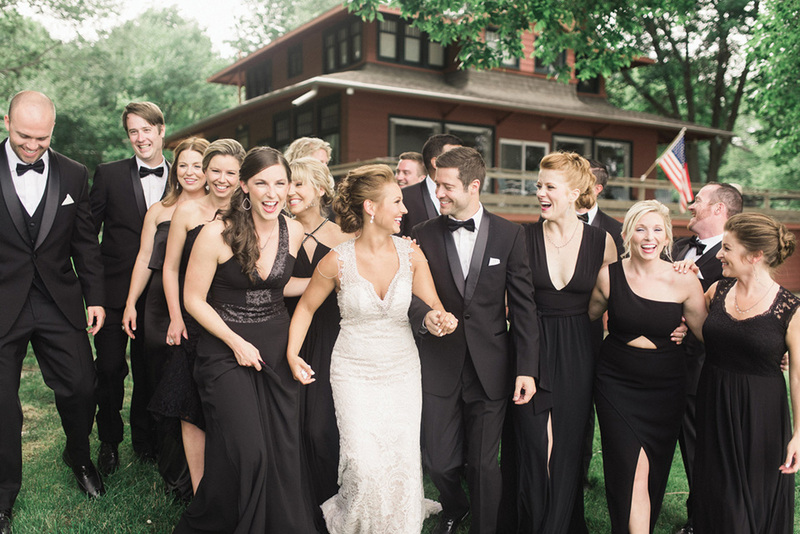 When they planned their wedding, they knew exactly where to have it, the lake! Because June is such a beautiful time of the year, Kati knew that she would let the lush, green outdoors create a romantic backdrop for their wedding. Kati relied on connections and referrals for all her wedding vendors. When working with people that know you personally, it feels more intimate and they truly understand your vision. She felt that everyone went above and beyond to make their dream wedding come to life. The best part of the wedding planning was the venue! Clear Lake will always hold a special place in their heart and they will get to relive those memories and make new ones with every trip to back to the lake.